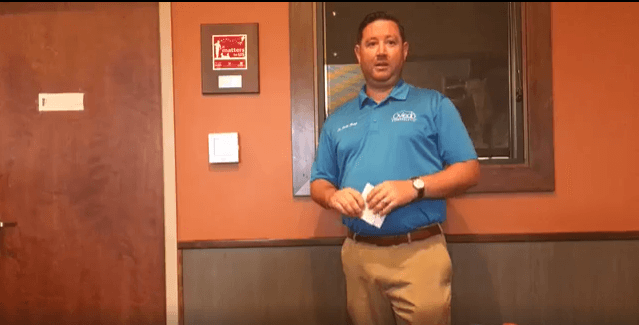 Justin Cough with Oviedo Chiropractic educates us about importance of a chiropractor. This week Justin Cough with Oviedo Chiropractic educated us this week on the importance of his work. Oviedo Chiropractic is in their third year of business in the area. They are constantly growing with upwards of thirty patients a day. Dr. Cough prides himself on the education he provides his clients, he is very thorough when describing and teaching different techniques. He touches on doing chiropractic work on children. The youngest he’s performed on was two weeks old. This is because the birthday practice is intense and sometimes parents want their children to be aligned from the get-go, he does mention it’s not the same popping and cracking as he would use for adults. He also brings up one of his massage therapists, Whitney, she explains how she works in synergy with Dr. Cough. Once he performs his service Whitney comes in and uses a muscle energy technique so that the muscles do not go back to what they were before. Dr. Cough and the staff at Oviedo Chiropractic want to ensure that every patient is fully taken care of, if you have any questions, a call is always free! Visit the website today for more information!